A Yazidi man living in the ruins of one of Saddam Hussein's palaces. 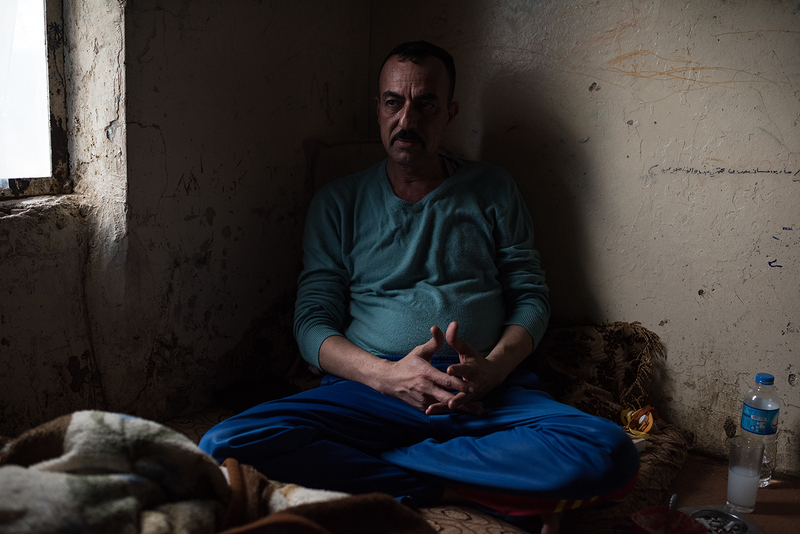 He fled with his family from the village of Dhola during the 2014 genocide perpetrated against the Yazidi by ISIS. "We have no future in Iraq. Everything is broken for us".